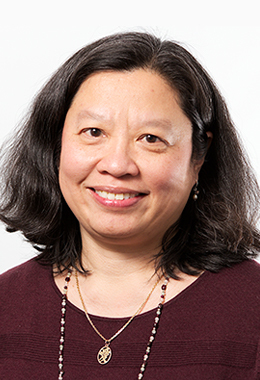 WALTHAM, MASS | EDC mathematics researcher June Mark has been named to the Massachusetts Hall of Fame for Mathematics Educators by the state chapter of the Association of Teachers of Mathematics. Mark joins fellow EDC inductees Deborah Schifter (2017), Paul Goldenberg (2008), and Al Cuoco (2004). The Massachusetts Hall of Fame, a state chapter of the national body, was created to honor outstanding colleagues working and teaching throughout the state. Each year, Massachusetts mathematics educators nominate peers with a minimum of 20 years in the field who have made extraordinary contributions to the advancement of mathematics education and have a distinguished teaching record in the state. Mark’s work has focused on K–12 mathematics instructional materials, teachers’ professional development, instructional design, and curriculum implementation. Her interests include identifying systems and supports to ensure all students can experience quality mathematics learning and building resources to support teachers and education leaders. Mark is currently working on adapting UC Berkeley’s Beauty and the Joy of Computing curriculum for high school students as an AP Computer Science Principles course and supporting its implementation in New York City public schools. She has developed and coauthored multiple classroom curricula, including EDC’s Transition to Algebra, its companion book Making Sense of Algebra (Heinemann), and SolveMe Mobiles, a related app that engages students in interactive exploration of logic-building mathematical puzzles. She and her EDC colleagues also developed a National Science Foundation-funded course to deepen middle and high school teachers’ understanding of the Common Core Standards for Mathematical Practice. Mark received a BS in mathematics and a BSE in decision sciences from the University of Pennsylvania, and she holds an EdM from the Harvard University Graduate School of Education. An induction celebration dinner is set for June 27 at Lesley University. To learn more about Mark and the resources and programs she has developed, visit her page on the EDC website.